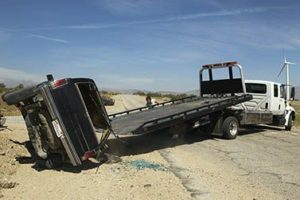 You need the services of a top-rated attorney if you are involved in a truck-related accident. If the accident happens within the City of Industry, California, Rawa Law Group is ready to step up and fight for your right if we are contacted.At Rawa Law Group we have proficient lawyers who understand the needs of the injured and work hard to ensure they are well represented and justice is served with adequate compensation paid to these injured and broken accident victims. Our attorneys have huge experience handling such truck-related accidents and know the truck regulations and state rules all too well and this comes in very handy in helping us get successful verdicts for our clients. If you would like to work with us on your case and would like to be assigned one of the best truck accident attorneys in City of Industry, then Rawa Law Group is the right call. Let our legal luminaries who have a collective experience of over 55 years brainstorm and come up with the most fitting tact to handle your case for maximum compensation. We have been in business for over a decade and our attorneys have so far helped our various clients net cumulatively hundreds of millions of dollars in settlement. Rawa Law Group isn’t an ordinary law firm; our 5-star firm is a collection of adept legal minds that are unified for a single purpose, to fight for the oppressed and injured. You can reach us via our contact information below or schedule a free case evaluation. Contact us today.